Washington’s attempt to find a resolution to the Afghan conflict militarily while continuously antagonizing Iran and chastising Pakistan is bound to end in failure. The most recent carnage in Afghanistan last Saturday that left over one hundred people dead has once again made clear that the threatfrom the Taliban, and now increasingly from ISIS as well, is not likely to disappear any time soon. Indeed the menace seems to be growing as the Afghan regime is increasingly immobilized because of the standoff between President Ashraf Ghani and his rival Chief Executive Abdullah Abdullah. 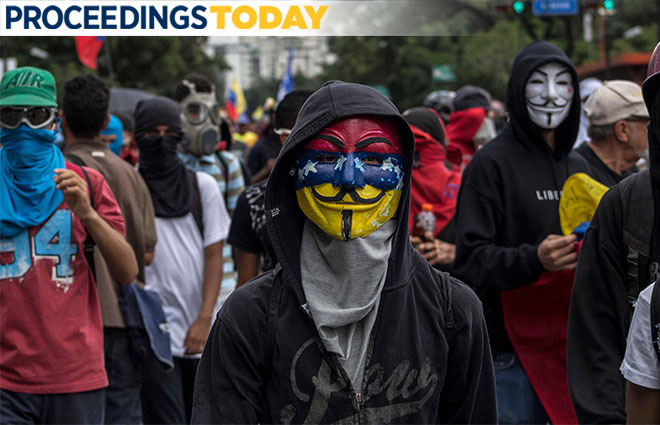 Instead of providing stability the agreement between the two contenders for the presidency to share power has left the government paralyzed. The U.S. military launched a series of airstrikes on Taliban training camps located in Afghanistan’s remote northeastern province of Badakhshan, which borders Tajikistan. The camps were used by the East Turkistan Islamic Movement (ETIM) and other terrorist groups. “Over the past 96 hours, U.S. forces conducted air operations to strike Taliban training facilities in Badakhshan province, preventing the planning and rehearsal of terrorist acts near the border with China and Tajikistan by such organizations as the East Turkistan Islamic Movement and others,” Resolute Support announced in a press release. U.S. Air Force Major General James Hecker, speaking to reporters in a video teleconference from Kabul, said on February 7 that U.S. Central Command (CENTCOM) at the start of this month officially designated Afghanistan and the fight against the Taliban as its "main effort." For many Americans, especially older ones, the win–loss dichotomy boils down to World War II vs. Vietnam. World War II was the good war: well-defined, righteous goals, ending in clear, unambiguous victory. After winning, most Americans came home. Those who stayed to oversee reconstruction in Germany and Japan faced minimal violence. Vietnam was the bad war: ambiguous goals of uncertain importance, dragging on at considerable cost before withdrawal. The United States sacrificed immense blood and treasure, but the Communists took over anyway. 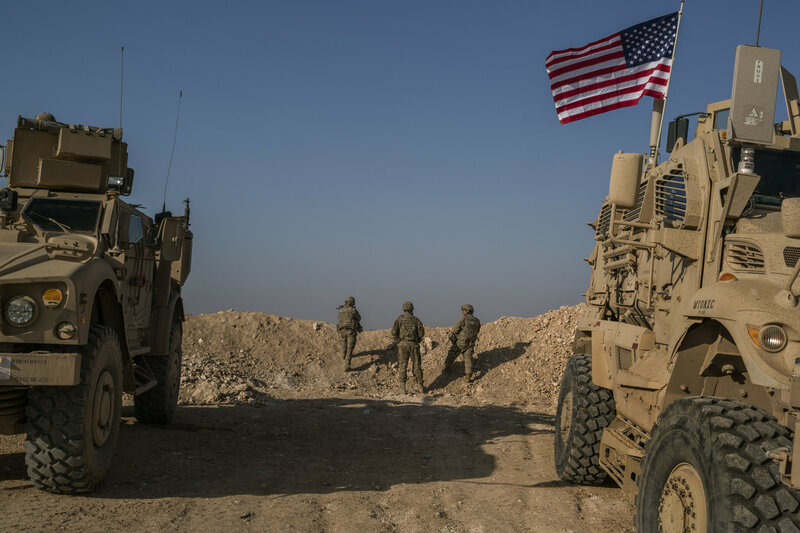 MANBIJ, Syria — Two senior American generals came to the front line outside the Syrian city of Manbij on Wednesday flying outsized American flags on their vehicles, in case pro-Turkish forces just the other side of the no man’s land, 20 yards away, did not realize who they were. “We’re very proud of our positions here, and we want to make sure everybody knows it,” said Maj. Gen. Jamie Jarrard, the Special Operations commander for the American-led coalition in Iraq and Syria. ‘But what are you going to do with the powers?’ the minister asked, while I negotiated devolution of powers to London when Boris was mayor. The government wouldn’t grant powers unless we explained how we would use them. And that is what is missing in the Brexit non-debate. We are ‘taking back control’ — but we haven’t really thought what we will do with that control once we have it. It is true there has been discussion of trade deals, transforming the Common Agricultural Policy and the colour of our passports. But if that was all we could do, even most Brexiteers wouldn’t have considered it worth it. Despite extremely tough talks, Angela Merkel's conservatives and the center-left Social Democrats reached an agreement to form a coalition on Wednesday. If the SPD doesn't veto the deal in a vote of the party base, a new German government could be in place before Easter. Late Wednesday morning, Peter Altmaier stood in front of the conservative Christian Democratic Union (CDU) party's national headquarters in Berlin with his blazer thrown over his shoulder and his long sleeves rolled up. Temperatures were at the freezing point, but the winter sun appeared to have kept the Chancellery chief warm. "There is a good chance that we are going to get a new government," said Altmaier, who is Angela Merkel's chief of staff. Admiral Stavridis: Our Troops Deserve Better Than Trump's Big Parade An unidentified rocket is displayed during a military parade marking the 105th anniversary of the birth of late North Korean leader Kim Il-Sung in Pyongyang on April 15, 2017. An unidentified rocket is displayed during a military parade marking the 105th anniversary of the birth of late North Korean leader Kim Il-Sung in Pyongyang on April 15, 2017. Ed Jones—AFP/Getty Images By JAMES STAVRIDIS February 7, 2018 IDEAS Admiral Stavridis was the 16th Supreme Allied Commander at NATO and is Dean of the Fletcher School of Law and Diplomacy at Tufts University When I showed up at the Naval Academy, the first thing they did after shaving my head was to teach me to march. Over the next four years as a Midshipman, I marched in countless parades, generally a couple every week. Like every other Midshipman to pass through the gates of Annapolis, I hated it. They are a lot of work to rehearse, don’t do anything for morale, and are expensive in terms both of time and preparation. Every time there was a parade scheduled, the entire Brigade of Midshipmen literally prayed to the rain gods to send a downpour and thus cancel the parade. And those were for relatively simple parades of 4,000 Midshipman who were already living within a five-minute march of the parade field — no missiles, tanks, trucks or jet aircraft being towed around. I thought after I was commissioned I had left serious marching behind, and I was glad to do so. But now we have a President who evidently wants a military parade “like the one in France” — meaning their Bastille Day celebrations. I am very respectful of French culture and the French military, but the idea of a big, showy, expensive parade reminds me less of our French allies and more of the old Soviet Union “Who has the biggest missile?” extravaganzas, or the truly creepy North Korean jitterbug marching style galas, with the even creepier “young leader,” Kim Jung Un, urging his nation of sycophants on in wildly over-the-top applause, which has a clap-hard-or-die feel to it. Now let me be honest – the Navy is no doubt the service that is least attuned to the idea of marching. And I am all for doing things that honor our brave troops, especially those who have fought so bravely in Iraq, Afghanistan and the Horn of Africa. But I would respectfully submit that ordering a spectacle down Pennsylvania Avenue is not the best option. The last time we did a big parade like this was several decades ago and it cost over $10 million. Some estimates have the cost of a big one today topping $20 million, which would include moving all the tanks, missiles, jets, helicopters and military bands to Washington. Secretary of Defense Jim Mattis has correctly stopped handing out little “challenge coins” from his office — symbolic tokens that officers in our armed forces give to troops. As he told me, they don’t contribute to readiness or combat capability — why waste the money? That is the Jim Mattis I know, and I’d say he’s got it right on the challenge coins. I’d recommend we apply the same logic to this kind of parade. For the men and women who have to put in the time planning, rehearsing, creating a security plan (a parade would be an extraordinarily juicy target for the Islamic State or Al Qaeda, by the way), setting up the stands, cleaning up, taking down the stands, and getting all their gear back home would, frankly, not be having a lot of fun. This would no doubt fall on a holiday weekend (Memorial Day, Fourth of July or Veteran’s Day, of course) so there goes their hoped-for and much deserved weekend break. Would they enjoy walking down Pennsylvania Avenue and hearing the applause? I guess. Would they enjoy a nice weekend off at the lake, among their friends and families, even more? That’s my bet. We know that we have the best-funded, most war-experienced, highest morale military in the world. That is not a threat or a boast — it is a fact. We don’t need a puffy parade to show the world we can fight. Believe me, the world knows that already. I know this isn’t an either/or situation, but I’d prefer to see our Department of Defense, which is so well led by Jim Mattis, focus on planning for war, pushing the VA to improve, funding military families with good medical and childcare benefits, and honoring our fallen with ceremonies as they are laid to rest. Those are the best ways we can honor them. On a smaller scale, local parades make a lot more sense — they connect to communities and help recruiting. Or here’s an idea: instead of the big parade, how about a cookout honoring the troops? With rib-eye steaks, BBQ chicken, ribs and cold beer, civilians buying, cooking and cleaning up afterward? Or just continue to say, sincerely, “Thank you for your service,” when you meet active duty troops or veterans? Let’s leave the missiles in the silos where they belong, and be quietly confident in the lethality, professionalism, and integrity of our military — no parade necessary. When I showed up at the Naval Academy, the first thing they did after shaving my head was to teach me to march. Over the next four years as a Midshipman, I marched in countless parades, generally a couple every week. Like every other Midshipman to pass through the gates of Annapolis, I hated it. They are a lot of work to rehearse, don’t do anything for morale, and are expensive in terms both of time and preparation. Every time there was a parade scheduled, the entire Brigade of Midshipmen literally prayed to the rain gods to send a downpour and thus cancel the parade. And those were for relatively simple parades of 4,000 Midshipman who were already living within a five-minute march of the parade field — no missiles, tanks, trucks or jet aircraft being towed around. I thought after I was commissioned I had left serious marching behind, and I was glad to do so. The U.S. national defence strategy exudes more than a wistful sense of loss and more than regret at the inability of U.S. economic and military power to sustain its hegemony. It’s a lashing out at and resentment of the fact that, perversely, the preponderant power it wielded over the past six decades has led to the rise of strategic rivals. The new National Defense Strategy (NDS) correctly focuses on U.S. strategic competitors China and Russia. The strategy is excellent in many other ways, as well. One weakness, however, is that it downplays the importance of promoting and supporting democracy more broadly around the world. As the NDS is written, democracy is something the United States stands for but does not “impose” on anyone. This type of language signals that democracy is a cultural rather than a universal phenomenon, something that works for some peoples but not others. The entering into effect of the New START treaty coincided with the completion of the Trump administration’s Nuclear Posture Review (NPR), after a year of preparation. The review is the first opportunity for the Trump administration to make its mark on US nuclear policy and includes several important changes from the Obama administration’s NPR of 2010. The most significant change is what appears to be a shift away from seeking to reduce the number and role of nuclear weapons in US military strategy. Instead, the Trump NPR has a more confrontational tone and presents an assertive posture that seeks to increase reliance on nuclear weapons. This includes plans to develop new nuclear weapons, modify others, and to back away from the goal of a “sole purpose” nuclear role of deterring only nuclear attacks to more forcefully emphasizing a role to also deter “non-nuclear strategic attacks,” even cyber attacks. To achieve that, the NPR declares that “the United States will enhance the flexibility and range of its tailored deterrence options… Expanding flexible U.S. nuclear options now, to include low-yield options, is important for the preservation of credible deterrence against regional aggression,” the NPR claims. North Korea so wants to be unified with South Korea on the international stage that for a few weeks they hit the “pause” button on nuclear war. There could be no better example of the Olympics as a symbol of peace and no better illustration of the importance of soft power. Soft power in the international system usually contrasts with military power or economic power. Soft power is about influence and attraction, not about economic leverage and military force. Who stands with us in a crisis? When disasters hit others, whom do we help? There is a rich irony in the administration releasing its Nuclear Posture Review on Groundhog Day. We’ve seen this movie before. Much of the security landscape described in the pages of the review and, more dishearteningly, the investments it puts forward to address growing challenges are strikingly familiar to the bygone days of the Cold War, days that many of us hoped we had left behind. SAN DIEGO: The Navy’s overworked IT teams need new “virtual training tools” and more time to train, especially for all-out cyber/electronic warfare against a high-end adversary, the commander of Naval Information Forces said here Tuesday. As the new National Defense Strategy refocuses the entire military from counterinsurgency in Iraq and Afghanistan to great-power warfare against Russia or China, cyber warriors have one advantage: They’re already there. It’s Russian and Chinese hackers, not the Taliban or ISIS, who are probing Defense Department networks every day — what insiders call the Advanced Persistent Threat (APT). But just because you face an adversary every day, that doesn’t mean you’re trained for everything they could do the day they decide to go all-out. Think of submariners: They shadow Russian and Chinese subs all the time, but they aren’t doing torpedo runs. The same holds true in cyber/electronic warfare, where an enemy may save his most powerful software exploits or radio jamming for a major crisis. Returning to Washington recently after consecutive keynote presentations at several major investor events, before hundreds of highly-educated and well-informed finance executives, I was struck by their focus on the turbulent shifts in geopolitical relations on a global scale of recent decades. In 1988, the U.S. and the Soviet Union were still locked in the Cold War, with most nations siding with liberty or totalitarianism. The 1990s were marked by America’s unipolar moment, with Russia rendered relatively meaningless in world affairs and China just beginning to rise from Mao’s domestic ruins. The first decade of the 21st century literally exploded into being, unleashing American military power in Afghanistan, Iraq, and globally against a vast radical Islamist terror network. The weapon system that personified the conflicts in Iraq and Afghanistan and shaped the behavior of the U.S. military for almost fifteen years was the Improvised Explosive Device (IED). IEDs were responsible for approximately two-thirds of U.S. and Coalition casualties suffered in Iraq and Afghanistan. Civilian casualties from IEDs number in the tens of thousands. The important lesson to draw from the experience dealing with IEDs in Southwest Asia is the way a single instrument of war, no matter how simple, can have profound organizational, operational and strategic impacts. 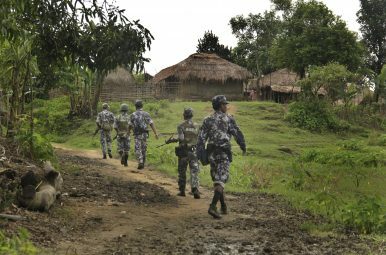 The IED allowed insurgents to regain the strategic initiative and set the operating conditions for U.S. and Coalition forces. 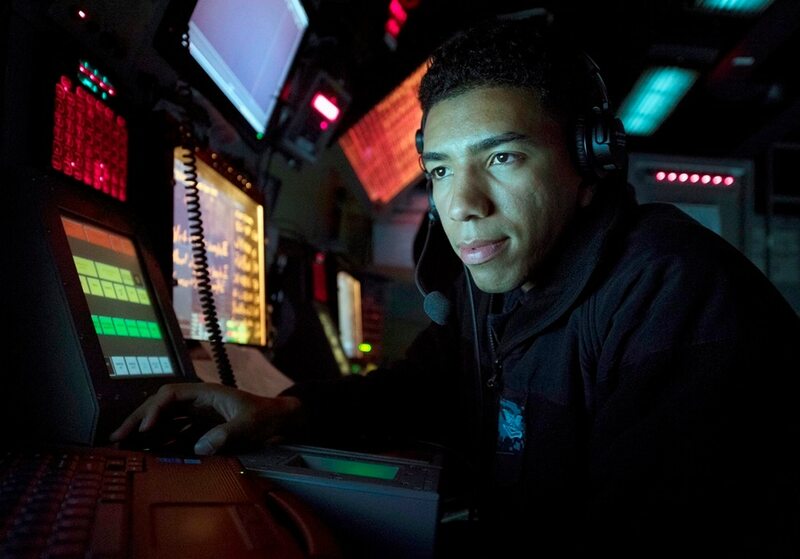 The the decision to include cyber elements in the investigation into two collisions at sea (at one point speculated to involve a network-based attack) was evident of the Navy's new approach to take on emerging threats and a changing threat landscape. SAN DIEGO: Before the first human Marine hits the beach in the next war, long-range MUX drones will launch from ships to scout for threats. Next comes a wave of robotic small craft, Rigid-Hulled Inflatable Boats (RHIBs) converted to carry sensors, jammers, missile launchers, even racks of mini-drones they can dump into the water to search for hidden obstacles and mines. Once the Marines come ashore intheir Amphibious Combat Vehicles and Ship-To-Shore Connector hovercraft, recon units will scout far ahead in Armored Reconnaissance Vehicles that bring the long-range sensors and data fusion of the F-35 Joint Strike Fighter to the ground force. This graphic presents a breakdown of different types of armed conflict occurring worldwide from 1975-2015. 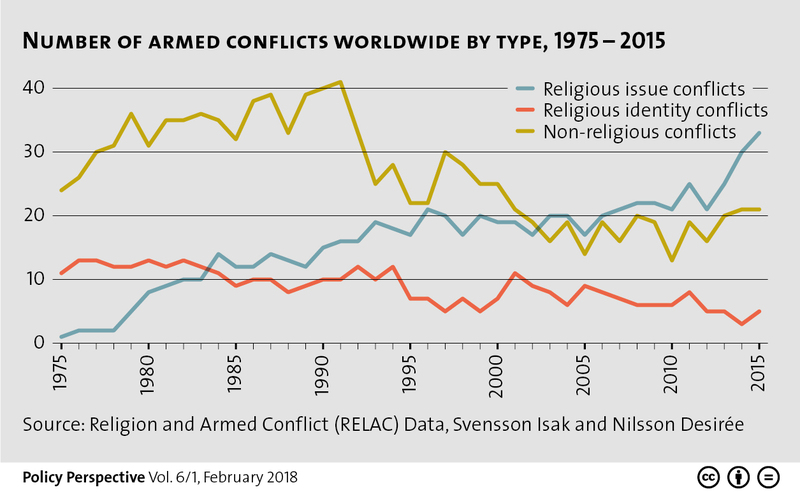 To find out more about the role of religion in armed conflict, check out Jonas Baumann, Daniel Finnbogason and Isak Svensson’s newest addition to our CSS Policy Perspectives here. For more graphics on peace and conflict, check out the CSS’ collection of graphs and charts on the subject here.